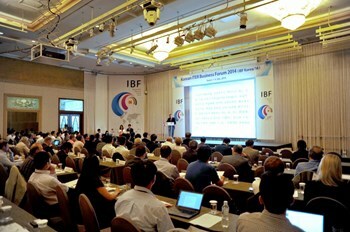 Of the 117 companies that attended IBF Korea from 2-4 July, fully two-thirds came from outside of Korea. 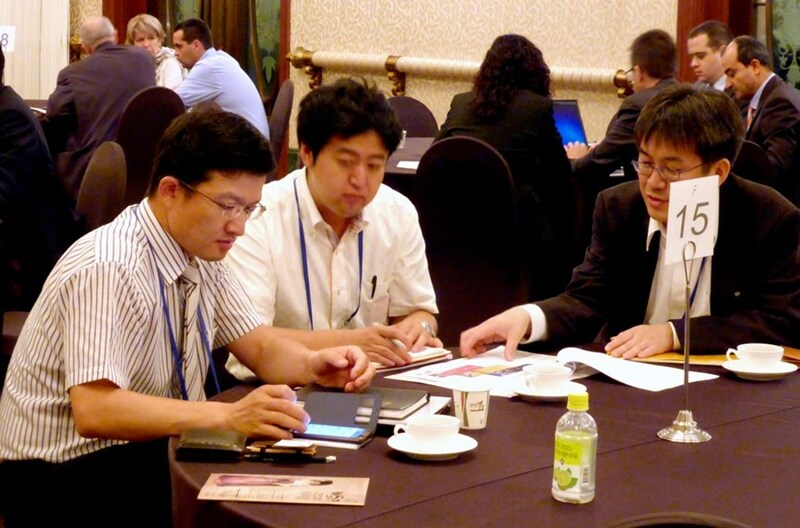 The ITER Business Forum (IBF) concluded in Seoul, Korea on Friday 4 July after three constructive days of exchanges, presentations and one-to-one business meetings that all focused on encouraging enterprises to participate in the ITER Project. The event, organized from 2-4 July by the National Fusion Research Institute (NFRI), under the sponsorship of the Ministry of Science, ICT and Future Planning (MSIP), provided companies with updated information on the project, procurement opportunities and procedures. Over 200 people participated from 117 companies; fully two-thirds of participating companies came from outside of Korea. 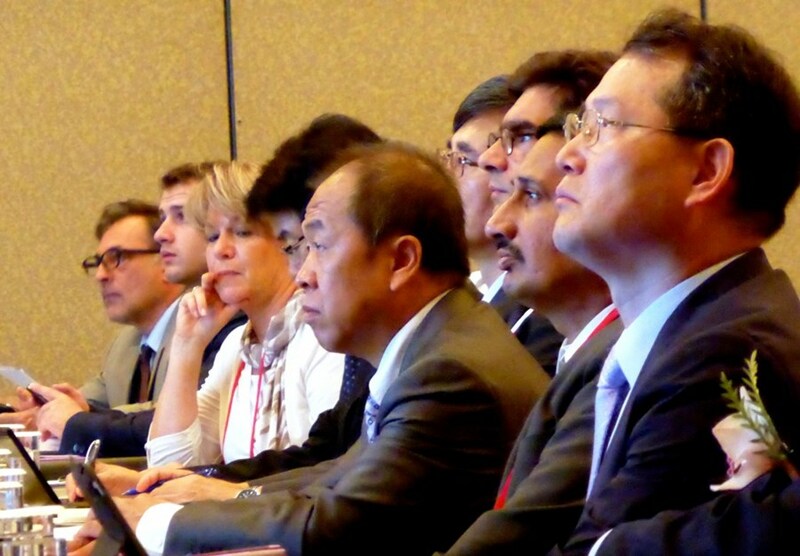 The IBF is an international business forum open to the industries of the seven ITER Members that has been held every two years in France since 2007. This year the meeting was hosted in Korea as the first IBF venue in Asia, with the participation of the French agency for ITER, Agence Iter France. A wide array of presentations provided companies with updated information on the project, procurement opportunities and procedures. Companies already participating in the project also shared their expertise and experience. Companies already participating in the project shared their expertise and experience. One-on-one business meetings were organized to promote networking among the participating industries and between western and eastern companies to explore opportunities for new business models and mutual collaboration. Participants had the opportunity to promote their company's technology in the presence of other leading global and local industries. To celebrate the opening of the IBF Korea this year, special guests attended including the first Vice Minister Sang-Mok Lee of the MSIP, Ambassador Tomasz Kozlowski from the European Union delegation to Korea, and Deputy Director-General Joo-Shik Bak of the ITER Organization. ITER Director-General Osamu Motojima addressed the IBF participants by video. Kijung Jung, head of ITER Korea: "It was my honour and my pleasure to hold the first Asian ITER Business Forum in Korea and I hope this event was very helpful to all participants, with plenty of opportunity to exchange information. I believe that all participants left IBF Korea with several prospective partnerships and also certainly brought home a better understanding of what ITER is about and a clearer perspective of the project's economic weight." How to partipate in ITER? One-on-one business meetings gave company representatives the opportunity to network and explore opportunities for collaboration. Jean-Pierre Leraistre, Nuclear Business Development Manager for Boccard SA (France): This is my third participation in IBF and I'd say it has been the best so far. IBF Korea 2014 was very well organized—all sessions, both plenary and thematic, were a source of new information about the project. I had several interesting one-on-one meetings and I am sure it will be good for the future of Boccard's business. Furthermore, meals and breaks were a great opportunity to develop closer relationships. Giulio Barletta, Sales Director, Sices Group (Italy): I confirm that IBF 2014 was a fruitful medium for stepping into the ITER world and its opportunities. It was a pleasure to meet and brainstorm among different top-notch players in the different disciplines among the ITER Member countries. It was also a terrific experience to attend the technical tour of the Korean tokamak KSTAR!